Editors' Note: There are 2 photos and a video associated with this Press Release. Northern Ontario – meet the Northwest Territories. 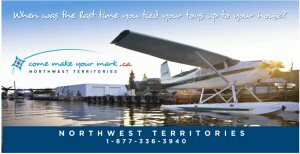 The Government of the Northwest Territories (NWT) is pleased to announce today the launch of a new national marketing campaign that invites northern Ontarians and other Canadians to discover the NWT and consider relocating there long-term. The campaign – Come Make Your Mark – is a call to action for individuals and their families from coast-to-coast to live work and play in the NWT. The campaign kicks off in northern Ontario and will showcase the wealth of resources the NWT possesses, its vibrant communities and its diverse and unique cultures. "The Northwest Territories is a land of breathtaking beauty, and limitless opportunities," says NWT Premier Floyd K Roland. "It's a great place to start a career, raise a family or strike out on your own. Our future is bright. But we need a vibrant and dynamic population base to fully realize our potential. We have a lot to offer residents of Northern Ontario who may want to begin a new and exciting chapter in their lives." With Canada's highest median household income at $88,000 a year, a wealth of career advancement opportunities, low unemployment rates, tremendous health care benefits and some of the world's best outdoor activities, the NWT is Canada's best kept secret. The Come Make Your Mark campaign will run from April 8 until June 13, 2010 in four communities across northern Ontario: Timmins, Sudbury, North Bay and Sault Ste. Marie. It will include a radio contest, where one lucky entry will win a free trip to the NWT. 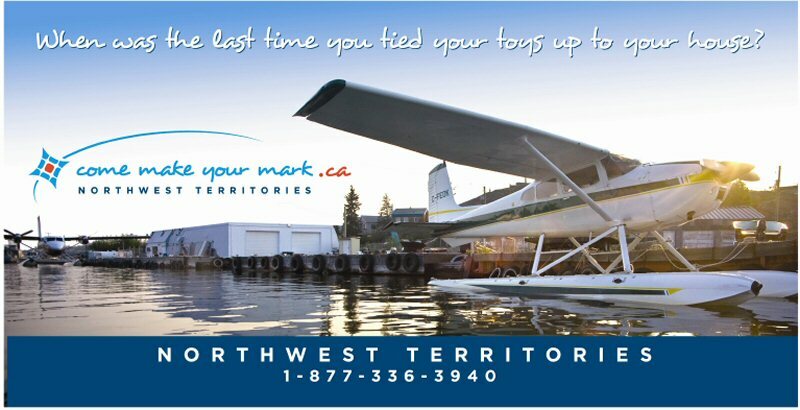 A website (www.comemakeyourmark.ca) has also been developed and print, radio, billboard and transit advertising will be used extensively in all four communities to create awareness of the campaign and of the NWT. 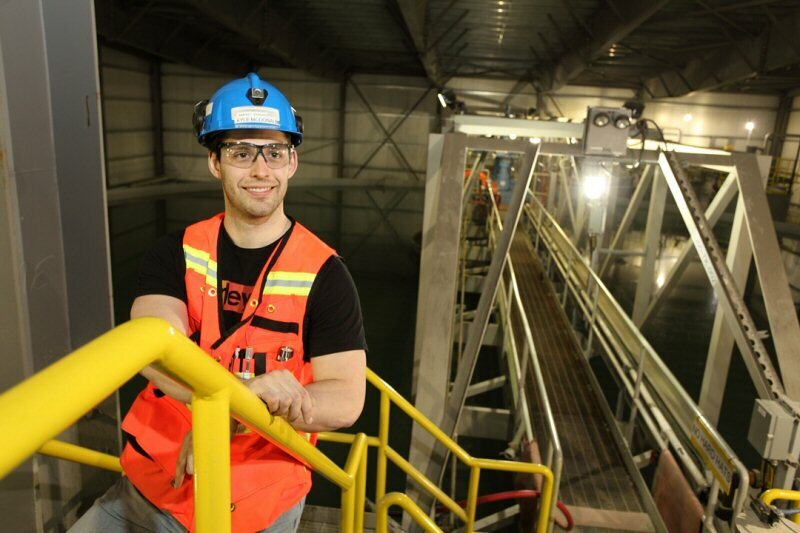 "If you're looking to make your mark, the Northwest Territories is the place to be," says NWT ambassador Kyle McDonald, an employee at De Beers Canada's Snap Lake diamond mine. McDonald is originally from Red Lake, Ontario and is now living in Yellowknife. 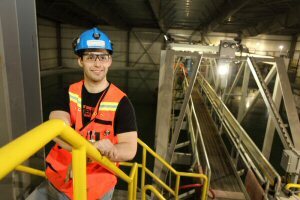 "The Northwest Territories really is the land of opportunity; there are rapidly emerging industries, endless career options and close-knit communities. I am proud to call the Northwest Territories my new home." "The Northwest Territories has boundless resources to establish, diversify or master your career," says Ray Anderson, president of MATCO, an NWT-based transportation services company. "Our company is always looking for motivated individuals who work hard and enjoy new challenges. We look forward to telling the people of northern Ontario about our company, the Northwest Territories and the opportunities that are available to them." Through an incremental approach, Come Make Your Mark will reach out to other geographic regions across Canada, including southern and eastern Ontario, Atlantic Canada (Newfoundland, New Brunswick and Nova Scotia), Quebec and northern B.C. For more information on the Come Make Your Mark campaign, please contact, Darren Campbell at the contact details below.